Cartoon Network was at its prime in the nineties and we can honestly say we lived for the cartoons they aired as well as the comics we used to buy. The cartoons then were beyond awesome and our time was spent pretending to be one of the Fantastic Four, or a Centurion or driving the sofa as if it was Turbokat. But among all the characters we liked back then, in retrospect we find that some of them were not the role models we would want them to be. Characters that seemed admirable back then sometimes turn out to be not so good after all. How awesome was this guy back when they still aired Tintin? The witty sarcasm, the get-up and the curses [especially the curses] made him an all time favourite. But when you stop to think about it, he was just a cynical, drunken sailor who cursed a lot. Now putting things like that, 'blistering barnacles' and 'thundering typhoons' loses the charm that they once had. We still love the Mask. Who has not tried to spin around and imitate this shape-shifting, humorous green faced man? And the way he said “Smokin'” is classic. But whatever may be said to the contrary and despite the numerous times he ended up saving the day, he was still a public nuisance. He vandalised property, picked on Lt. Mitch Kellaway and detective Doyle and gave them those atomic wedgies which, if you think about it was not really a nice thing to do. Yes we almost always knew who the ghost would turn out to be and wondered why despite the numerous times they unmasked ghosts, they ran in fear of them the very next time. Still who can resist the team with their funky van and Scooby's signature laugh? But as put by many villains over and over again, 'those meddling kids' were just that - meddlers. They cruised around the country, never got any education, poked their nose into everyone's business and the lead character was a complete chicken. He messed with Daffy, Porky Pig and virtually everyone else in the Looney world. 'That wabbit' is persistently annoying if you are not on his side, but despite this he remains a favourite to this day. His methods of outwitting everyone still crack us up and yet we definitely would hate to be in Daffy's place. We have always loved him and after we realise him to be the ultimate nuisance, we still do. Now despite all their faults, they were not all that bad. 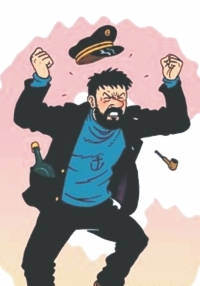 Captain Haddock saved Tintin numerous times, the mask saved the day, even if unintentionally. Scooby caught cheats and frauds, Bugs protested against animal hunting and 'the city of Townsville' was always saved thanks to Blossom. And Archie - well Archie made us laugh which counts for something as well. When we were kids, everything was pretty simple. Black and white. Good or bad. And if you're a carnivore constantly trying to kill an innocent little bird, you're definitely bad. We laughed at them and occasionally hated them. In turn, we loved the 'good guys', the ones who humiliated them and got away with whatever they wanted, because they were the good guys. Looking back, we still don't like them much, but we do realise that they weren't always at fault. The 'them' here refers to all those cartoon characters overlooked in favour of a good laugh. They're everywhere, and considering these cartoons are mostly about teaching kids life lessons, it's a wonder these guys are not the ones we learned the lessons from. Almost everyone was a Road Runner fan. But if you think about it, Wile E. Coyote deserves some applause. Not only did he never give up, he was smart, not to mention resourceful. He lived in a desert, for heaven's sake, so he made do with whatever he could find. The contraptions he put together to catch the Road Runner were pretty brilliant, given they were made of only rocks and sticks. He even had blueprints. Granted, he always failed, but it's hardly his fault karma was never on his side. He's a dog. He could have taught us loyalty if we'd ever looked past his irritating behaviour. He could also have taught us to face our fears and open the closet doors ourselves to check for monsters. Whenever Muriel was in danger and he was forced to step up, he never hesitated. The things he did for love. Super-smart villain who only hated the Powerpuff Girls because he felt neglected by his 'dad'. He even agreed to babysit the Girls once, helped them out every now and then, and generally just sat in his evil lair and read the paper unless bothered. To be fair, those three little brats annoyed the hell out of him. He made a name for himself all on his own. These guys from Tintin were essentially just there for comic relief. They were utterly incompetent, constantly arresting the wrong person. Also, they weren't related. We laughed at these bumbling losers and their spoonerism, and didn't pay them much mind. Tintin and Haddock took up all our attention. It's only now that we can appreciate the fact that at the end of the day, Thompson and Thompson always found Tintin and got their job done. Yours truly grinned when the SWAT Kats disobeyed all his orders, and when T-Bone or Razor patronised him with a, “Yes, Commander”, or “Sure thing, Commander”. There are kids who used to hate Commander Feral, simply because he hated the SWAT Kats and kept stopping them from doing good. The poor guy was just doing his job. The SWAT Kats really did keep destroying the Enforcers Headquarters and racking up tons of bills. Imagine the amount of tax money going into all the stuff they destroyed. His sense of justice was as strong as Superman's. Not to mention the fact that there wouldn't even have been a SWAT Kats had he not kicked Chance and Jake off the Enforcers. Even then he had good reason. You can't just blow up whatever you want and get away with it. 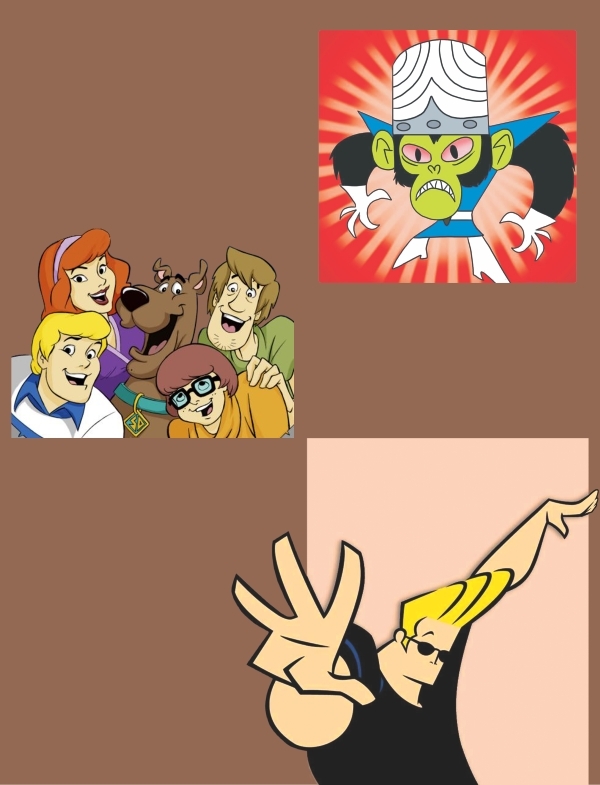 Note: Johnny Bravo almost made this list for his perseverance before we realised that he probably taught a lot of people eve-teasing.